You want to improve your game but you don’t know where to look for an answer? With so many online videos and golf tips you simply feel lost and confuse and your favorite game suffers? Don’t worry, we are here to help you, that’s why we present you Slice Fixr. It’s will bring your game to the next level. 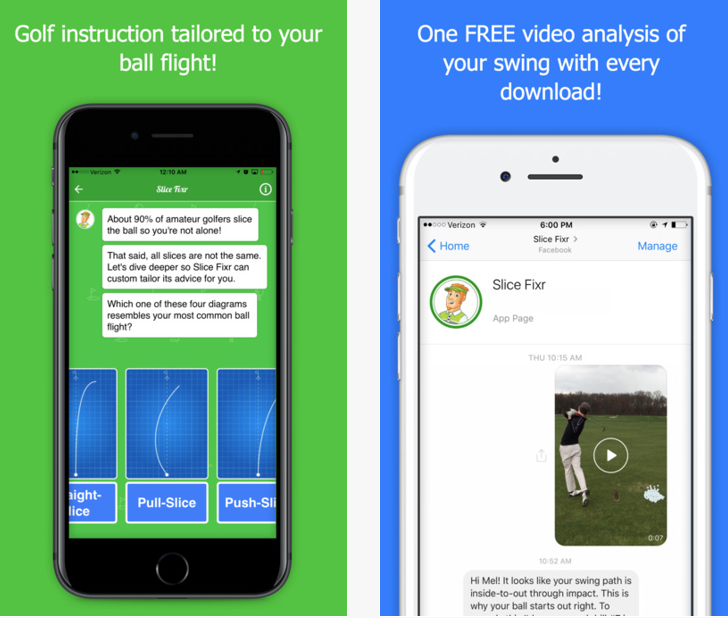 Slice Fixr is perfect for players that are looking to solve their golf performance problems. It will be as you have a personal trainer that is giving you the right instructions how to improve yourself. Also, it won’t cost a lot of money, for a symbolic fee of just 1.99$ it’s simple the best option on the market right now. It has simple, effective and easy to learn but detailed lessons. You will be able in no time to learn how to improve your slice. All you need to do is answer a couple of question and based on them Slice Fixr will give you an easy to understand instructions for you. Slice Fixr doesn’t stop there, with every purchase you will get one free swing analysis. Just send your video to Slice Fixr and you will get a free analysis free of charge. You will also receive golf lessons. They are explained in a simple manner attached with a short demonstration video. Start right now, download Slice Fix from App Store and get back to the golf court.